I’ve been making this healthy, low-fat dinner for years. It’s one of my husband’s favorite ways to eat chicken. 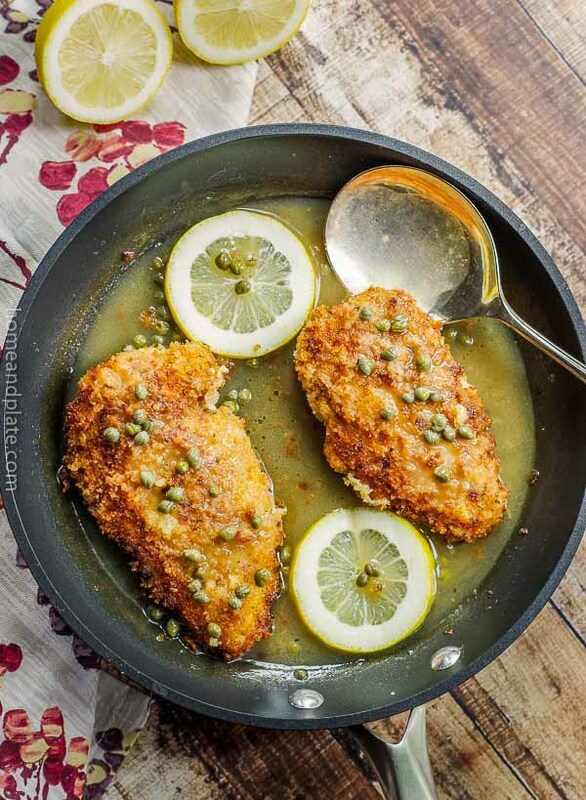 Similar to chicken piccata, this dish adds a little heat to the coating. 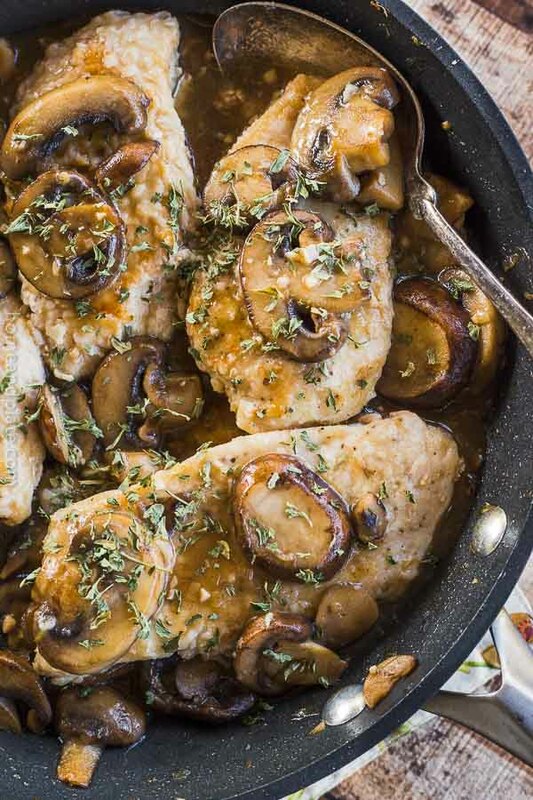 It’s an easy 30-minute meal when you need dinner quick. 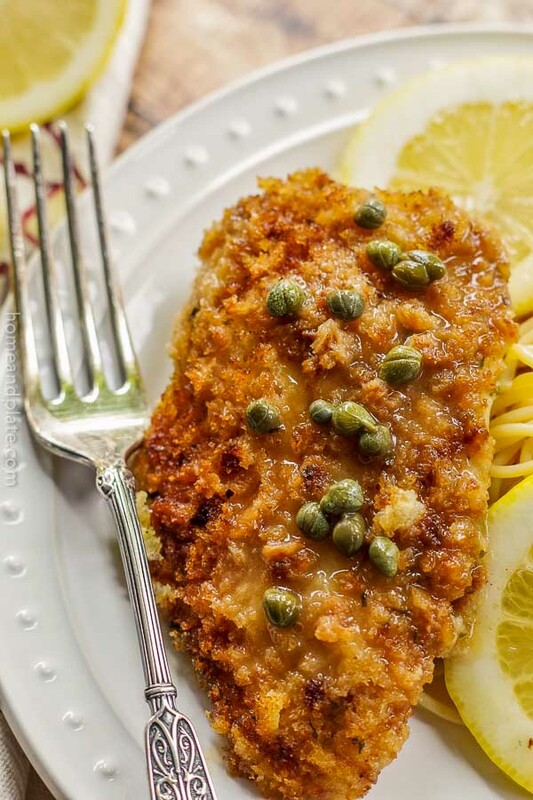 The panko bread crumbs give this dish a crunchy texture and the lemon caper wine sauce compliments it perfectly. 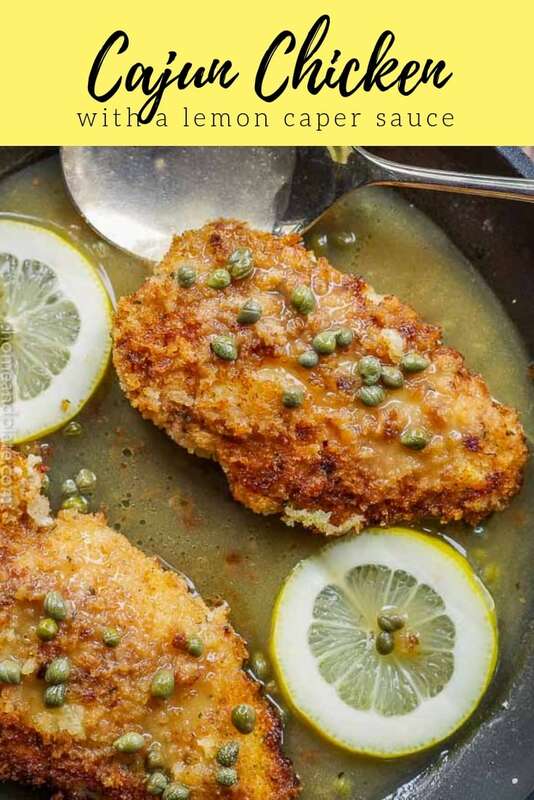 My kids love chicken prepared this way minus the capers. I’m working on them. They are come a long way from chicken nuggets and now that they are in their teens, they are much more adventurous than they used to be. This recipe is pretty simple … even my husband can make this! 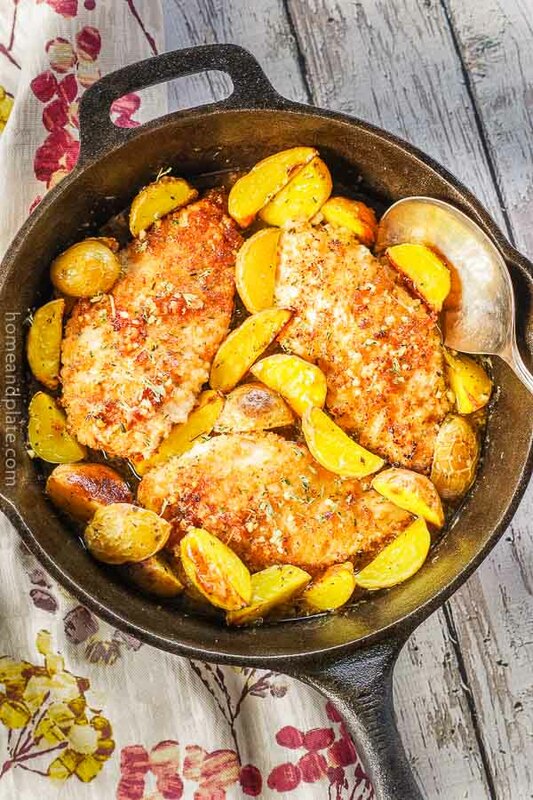 Spice up some bread crumbs with a little Creole or Cajun Seasoning and dredge a few chicken cutlets before sauteing them golden brown. Top the chicken on a bed of spaghetti and spoon the lemony sauce over the entire dish. 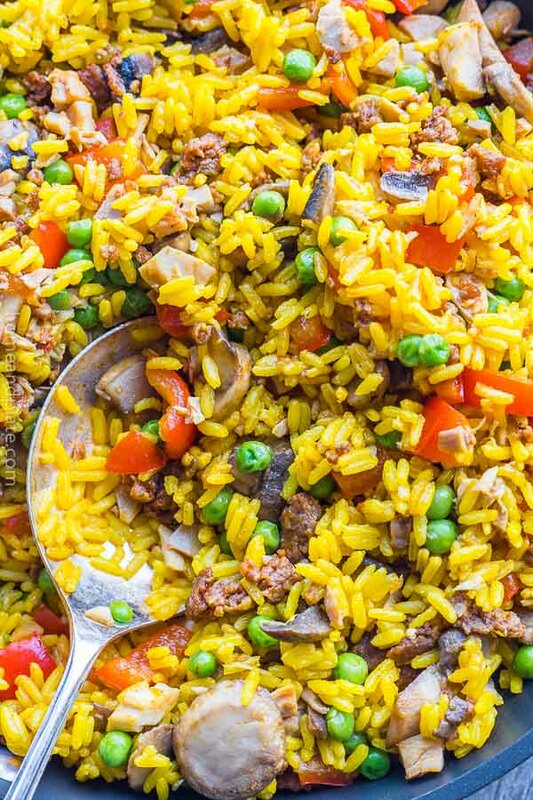 If you’d prefer rice instead of pasta, the sauce compliments it deliciously. In a shallow bowl combine the bread crumbs and Cajun seasoning. 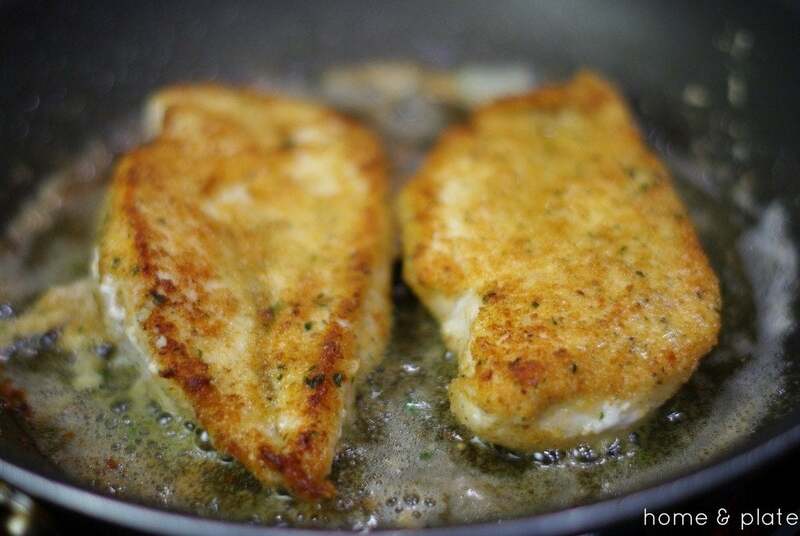 Dredge the chicken cutlets in the mixture until well coated on both sides. On the stove top, bring a pan to medium heat and add the oil and butter. Once the butter is melted and the pan is hot, add the chicken cutlets and brown each side for three minutes or until each side is crispy. Once cooked, remove the chicken from the pan. Add the lemon juice, wine and capers to the pan being sure to scrape the brown bits from the bottom of the pan. Stir the cornstarch into the chicken broth and add to the pan. Let the sauce simmer and thicken for a few minutes then add the chicken to the pan. Simmer for one additional minute. Serve over spaghetti being sure to spoon the sauce over the chicken. We love Cajun chicken and there is so many different ways to use it. Love the idea of having it with spaghetti. 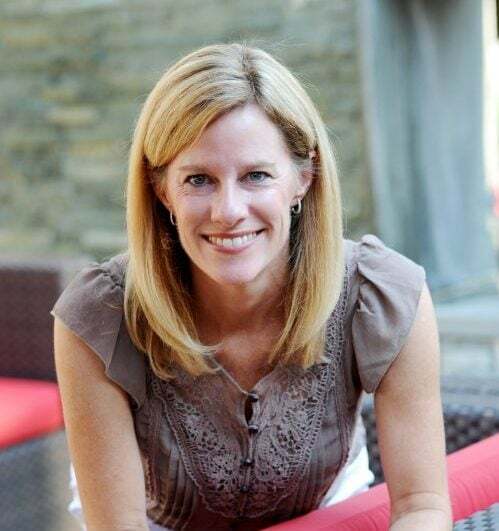 Thanks Danielle….we love this dish in my house and it is so versatile too. YUM! Love the panko breadcrumbs! Looks so delicious! 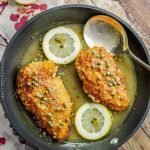 I love capers but don’t have enough recipes that use them – thank you so much! Yum! 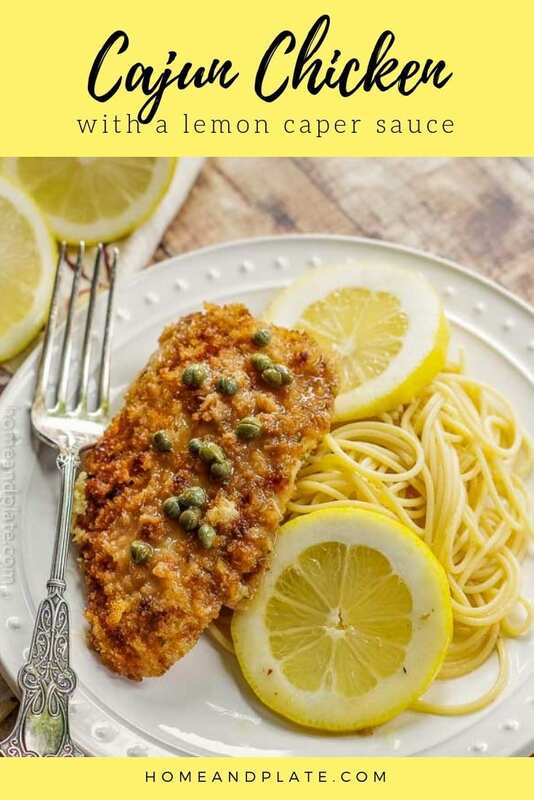 I love lemon and capers and this looks like an easy and tasty recipe to try. My fave is Tony Chachere original but I think any cajun or creole would work. Definitely give it a try.